Following yesterday’s IBM data, Monetate released a new study showing similar data related to retail browsing but covering a period of dates from Q3 2011 to Q3 2012. 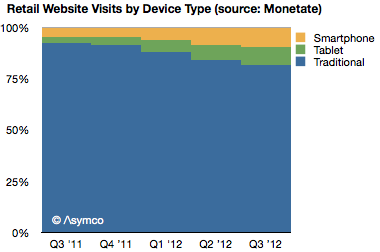 This data also shows an acceleration of mobile shopping, from 7.7% of online in Q3 2011 to 18.8% in Q3 2012. 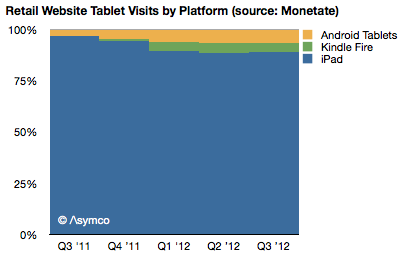 It also shows tablets growing to take about half of mobile traffic in a very short time frame. The data also shows the iPad taking the vast bulk of traffic among tablets (88.9% vs. 88.3% from IBM). 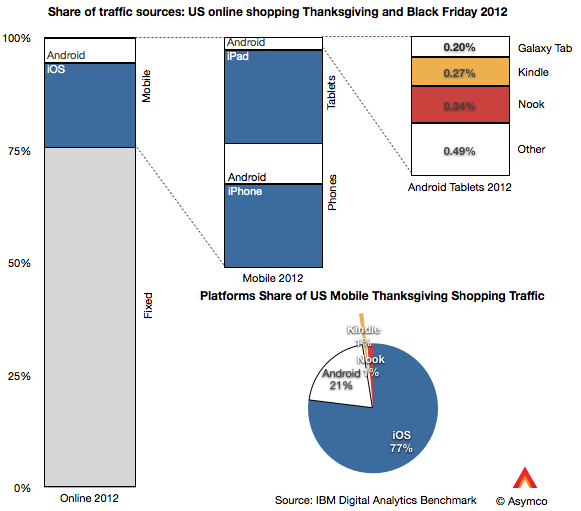 IBM’s Digital Analytics Benchmark reported US Black Friday sales and the news is reasonably good. Overall online sales grew by 17.4% while mobile grew to make up 24% of traffic. Of the 24% of traffic made up by mobile devices, phones contributed 13% and tablets 11% (or 54% and 46% of mobile respectively). Of the phone traffic, iOS devices were about two thirds of traffic and Android one third. Of tablet traffic, iPad was 88%, Kindle and Nook were 5.5% Galaxy Tab was 1.8% and other tablets were 4.4%. Overall, iOS was 77% generated mobile traffic and Android (excl. Kindle, Nook) was 23%. 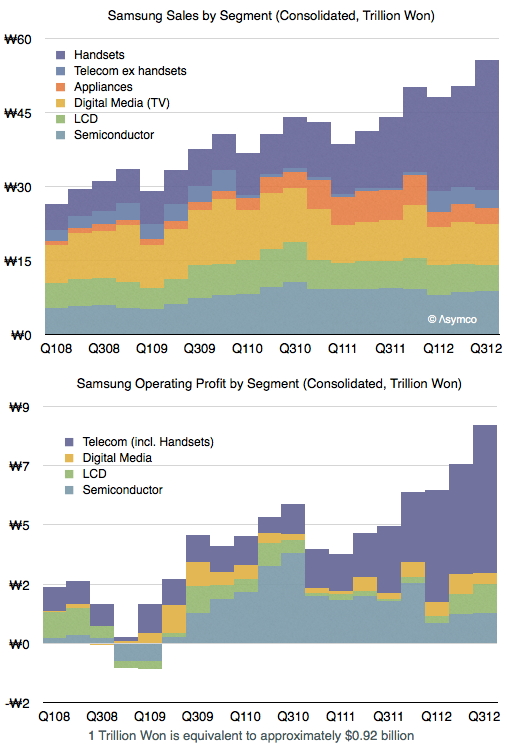 That’s an interesting snapshot of the consumption of mobile devices, but is there a pattern here? 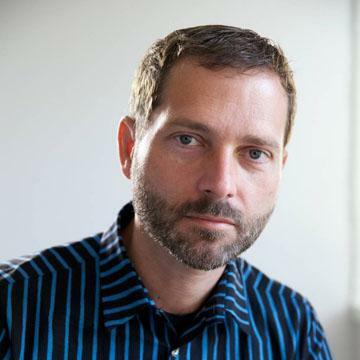 via 5by5 | The Critical Path #64: Mano a Mano. dozeo represents a new kind of social video conferencing. It combines powerful features into an intuitive and stylish design that can easily withstand a comparison with the established online conferencing tools.